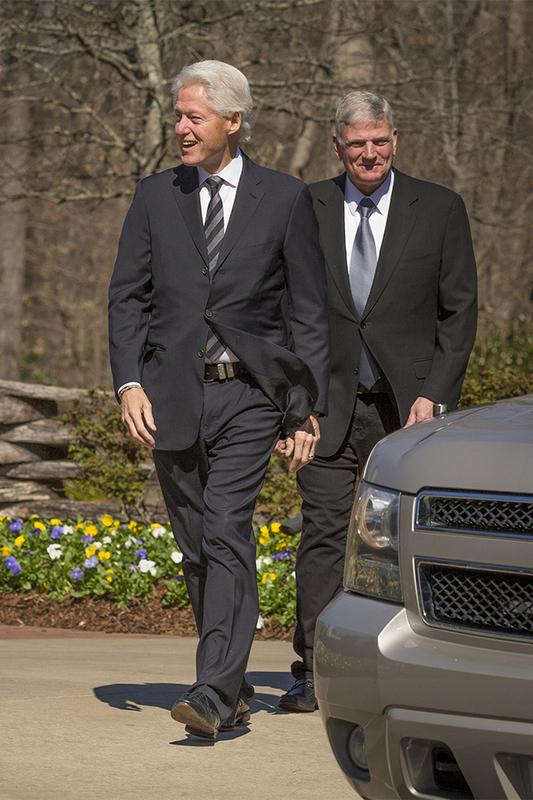 On Tuesday, former President Bill Clinton became the second U.S. president to visit the grounds of the Billy Graham Library in Charlotte, North Carolina, where Mr. Graham’s body was lying in repose. 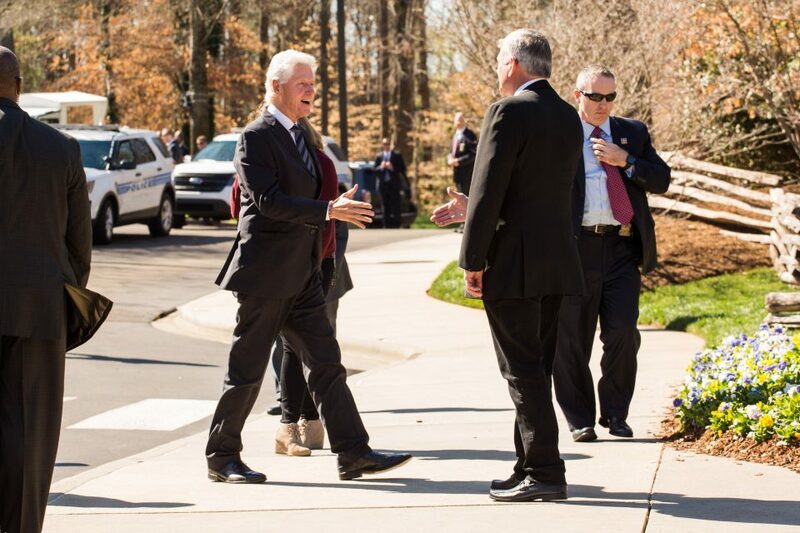 He met with Franklin Graham for about 45 minutes before greeting other family members and addressing media. 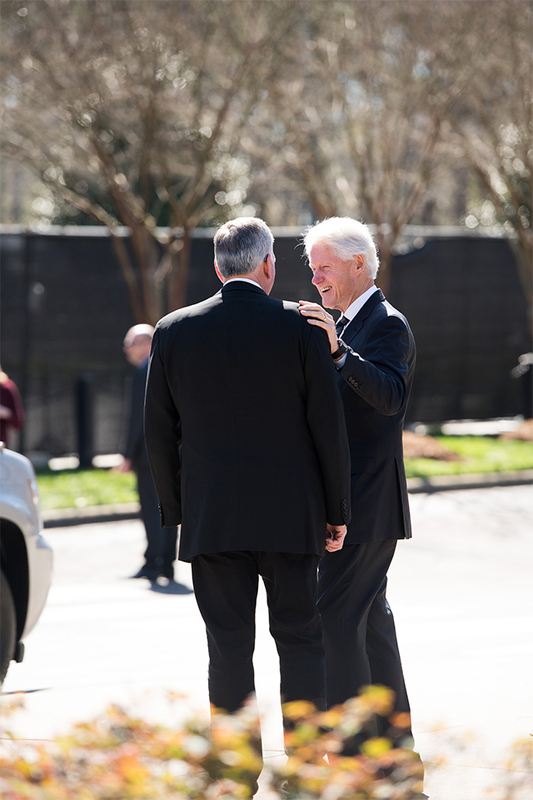 President Clinton and Franklin Graham greet each other in front of the Library with smiles and a handshake. 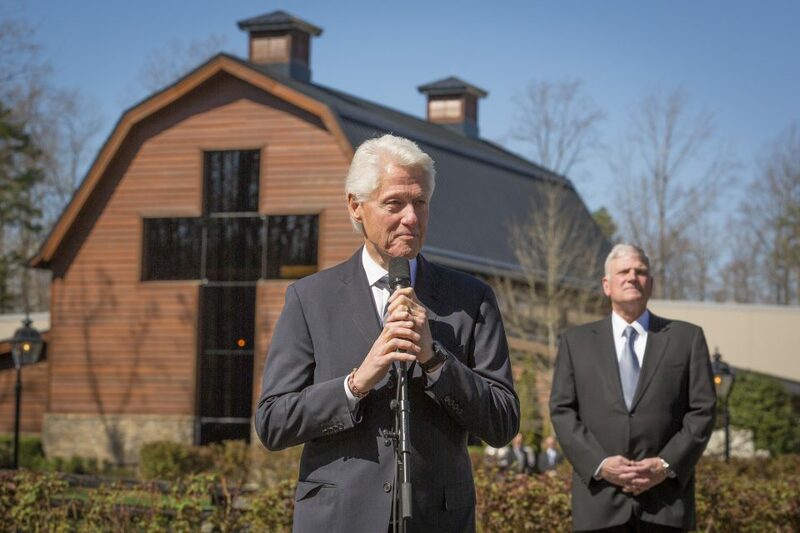 “I would like to thank Franklin Graham and the Graham family for making me feel welcome,” President Clinton said. 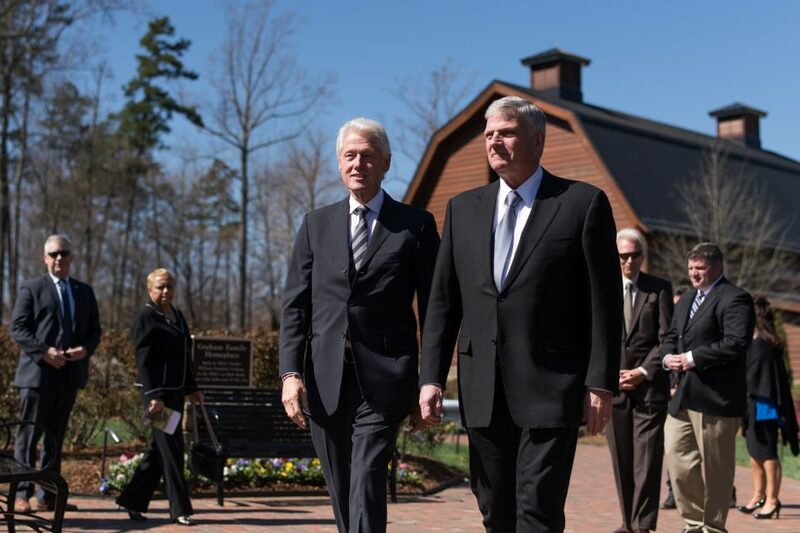 “I’m just one of millions, maybe hundreds of millions of people, who in their own way will find some way to say thank you and goodbye to Billy Graham.” Visit Billy Graham's memorial site to learn more about his life and leave condolences. 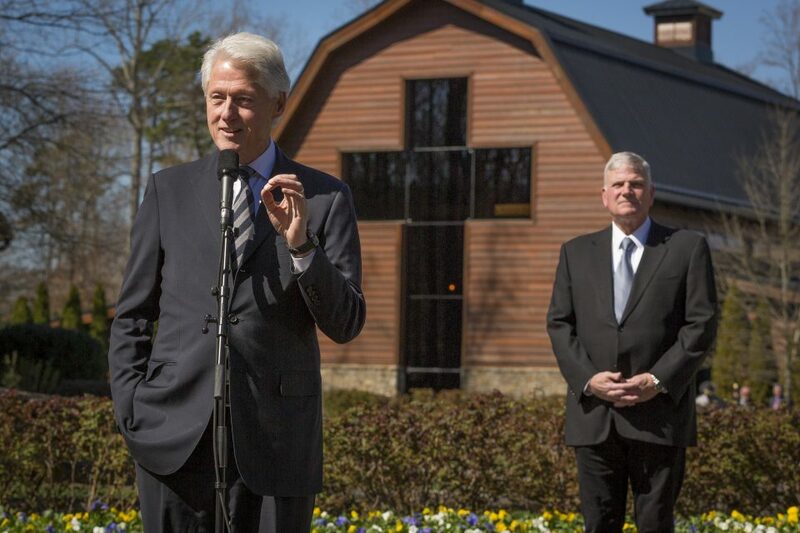 Franklin Graham and President Clinton talk on the Library grounds. 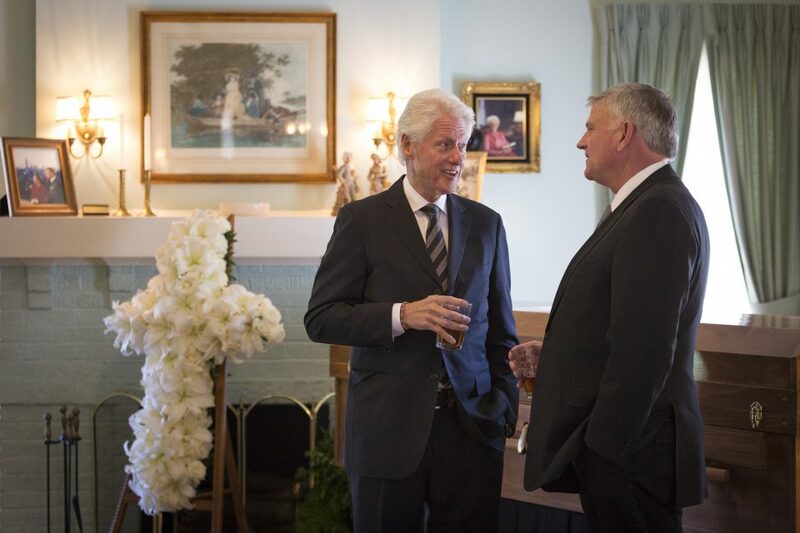 Clinton was 11 years old when he heard Billy Graham preach in his hometown of Little Rock, Arkansas. He had no idea that three decades later, he would join the evangelist as governor of Arkansas for a 1989 Crusade. 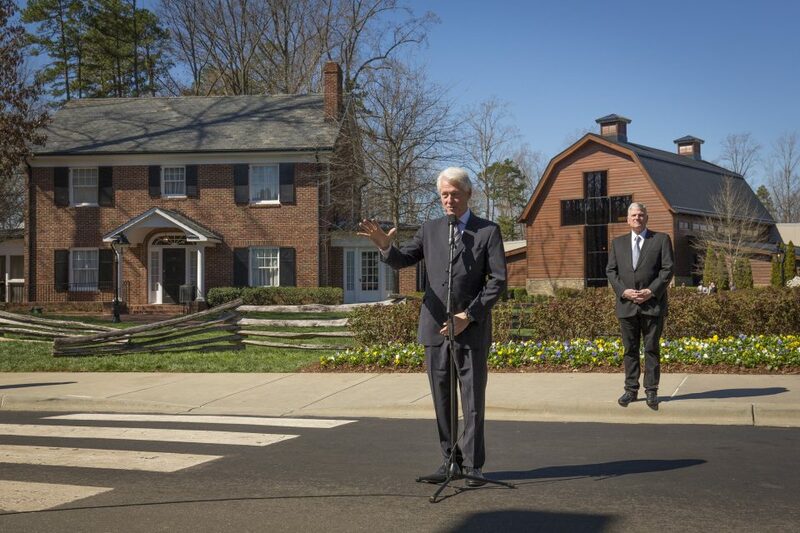 Enjoying sweet tea and reminiscing on Billy Graham's life inside the Graham Family Homeplace. 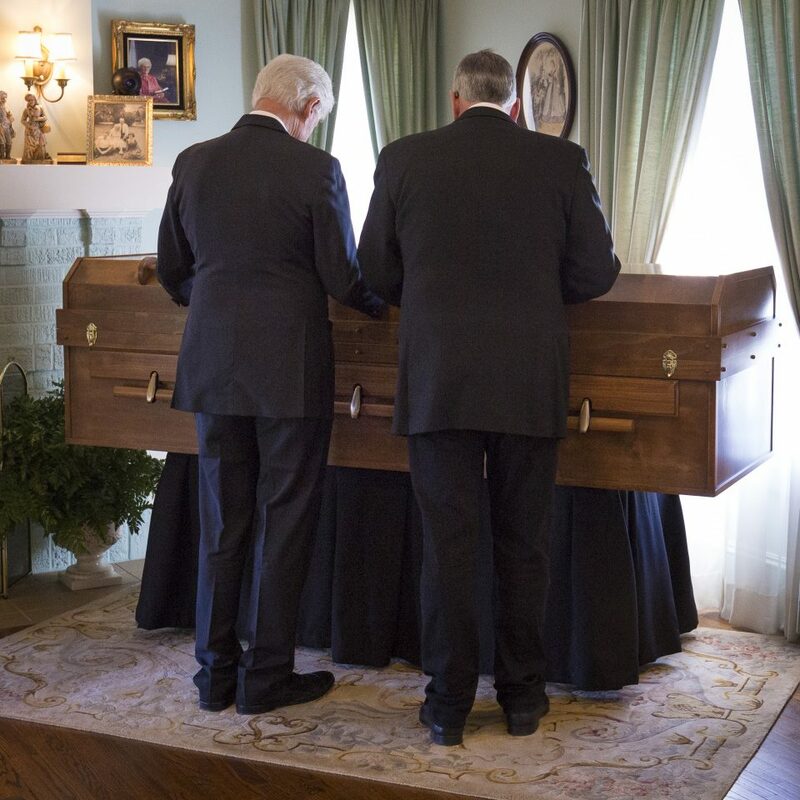 Before President Clinton left, he and Franklin Graham placed their hands on the casket, and prayed. 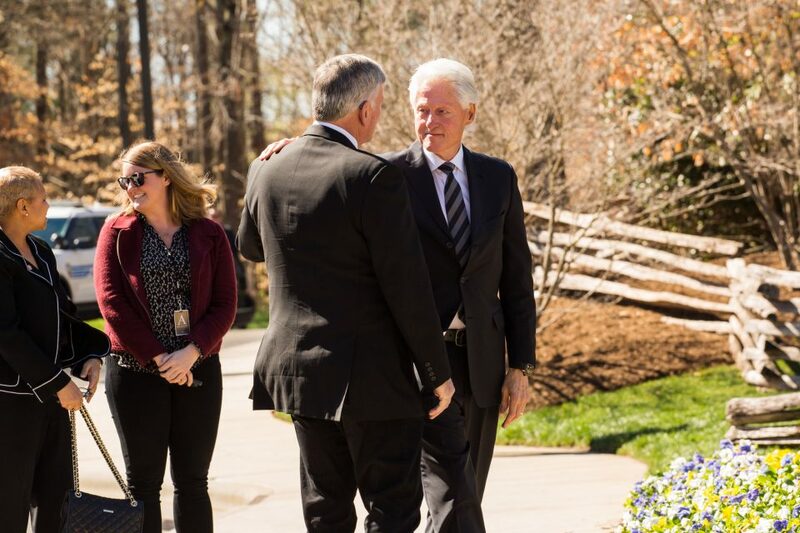 Shortly after Mr. Graham’s passing last Wednesday, Clinton released a statement about him: “Billy has finished his long good race, leaving our world a better place and claiming his place in glory." 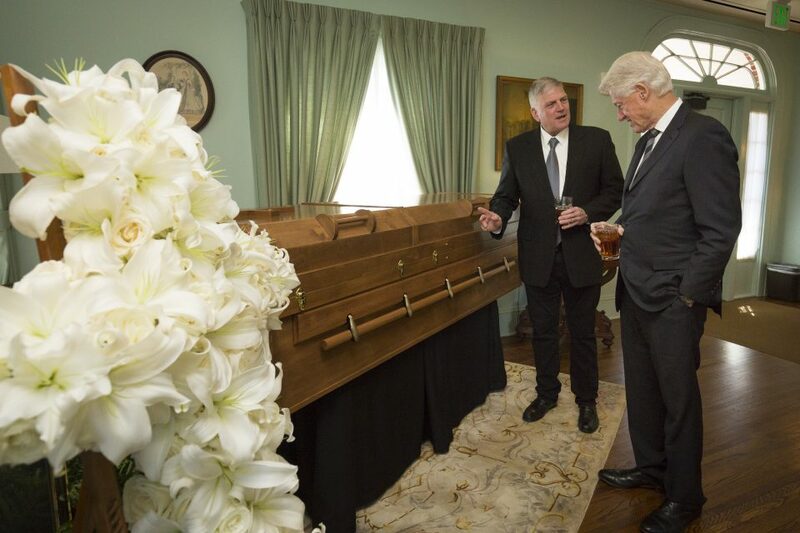 While talking to President Clinton, Franklin Graham stood by his father's simple plywood casket, which was made by inmates in Louisiana. 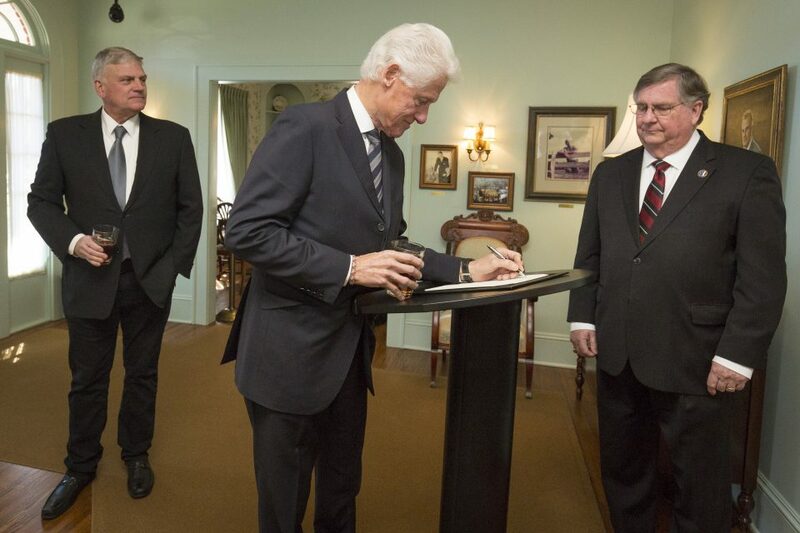 President Clinton signs the guest book. 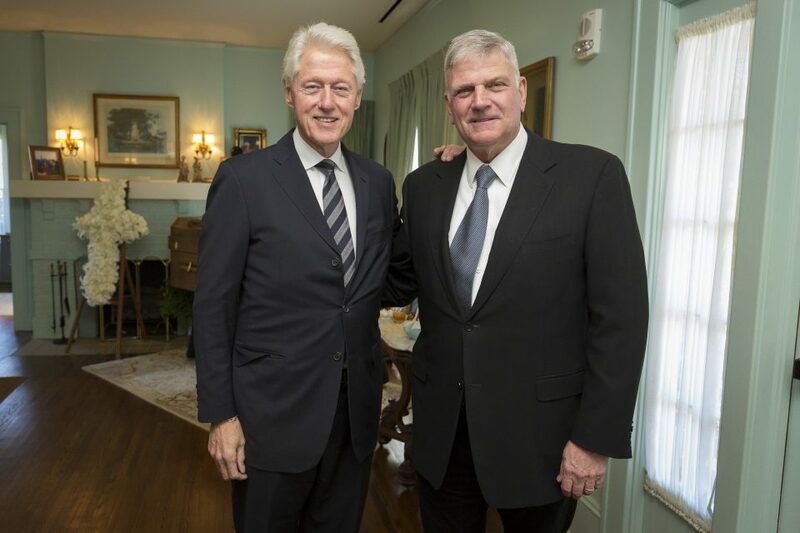 President Clinton recently said, “I saw Billy Graham live that faith fully in the constant kindness, encouragement and counsel he extended to Hillary and me." 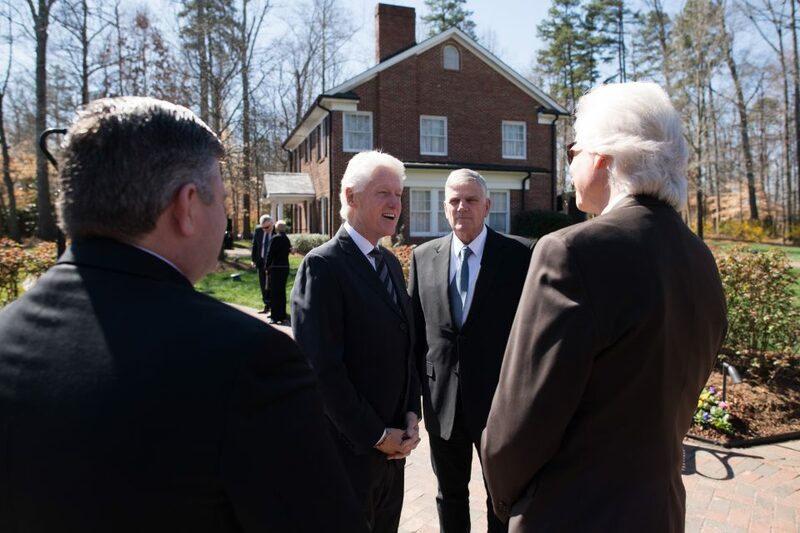 Outside the Graham Family Homeplace, President Clinton took time to talk with Billy Graham's extended family, including his cousin, Mel Graham, and grandson, Roy Graham. “I think he was a profoundly good man who conveyed simple beliefs—that we can claim kinship with God by asking. 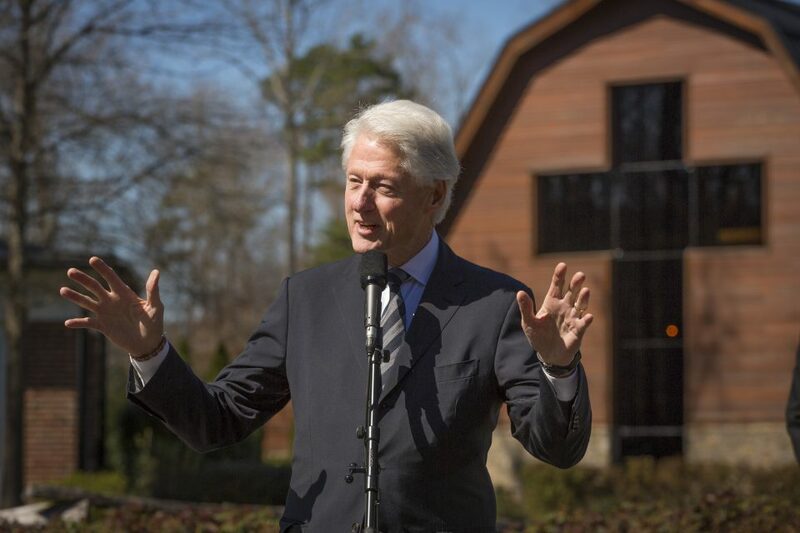 He showed his faith by his works and by his life,” Clinton said of the late evangelist.